The California Dream strain is a hybrid Kush also called Cali Dream. These seeds produce big buds, which are 70% indica and 30% sativa. They are so drenched in trichomes and resin that you can see the potency on the flowers. Fans enjoy its minty, fruity, citrusy taste, and strong, pungent aroma. 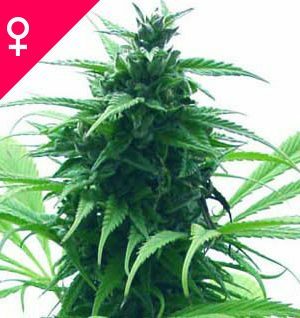 This top-shelf feminized strain of cannabis has sedative properties, making it a good evening or nighttime smoke. Its high is intense, but you remain able to socialize. 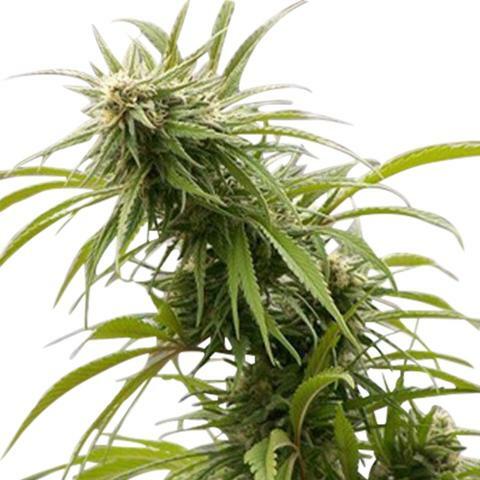 With both high THC and high CBD properties, this tall, high-yielding plant has both recreational and medicinal benefits. 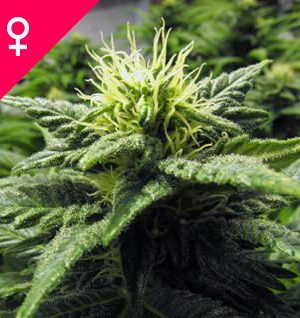 California Dream is fast-flowering and can be grown both indoors and outdoors, in Mediterranean, sunny conditions. 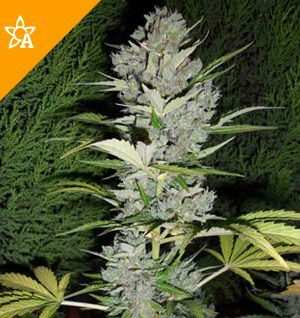 The California Dream strain is a fast-flowering marijuana plant. Once flowering begins, it continues at a regular, progressive rate. Growing from seeds will get you steady results if the conditions are right. These plants can reach heights of about 3.3 feet within a standard vegetative period of 3-4 weeks, with very little variation. California Dream buds are gorgeous and are typically shaped conically with resin-filled calyxes. Some experts suggest that this strain flourishes well in SCROG setups. Using a balanced soil mix free from high amounts of nitrogen content works best. Pruning the lower shots will help the top branches become stronger. The buds of this marijuana strain are simple to trim once they’ve been harvested. Expert growers of this strain say that resin production is not only reliable, but it’s also generally high. Each bud is frosty and loaded with resin crystals, which is especially true during the last two weeks of blooming. This is a sturdy, strong, resilient plant, that’s also an excellent cloner. Some even call it a “cloning machine” because of its ability to keep re-cultivating itself. They flourish even better in hydroponic settings. When growing California Dream cannabis indoors, the flowering period takes about 65 days. The grow site should have lighting of 400-600 HPS. If so, expect to yield about 450 grams of usable marijuana per square meter. Cultivating Cali Dream outdoors will yield you about 800 grams or more of usable cannabis per plant. Flowering occurs between September and mid-October, with plants reaching up to almost 8 feet tall at full maturity. Temperatures need to be sunny Mediterranean for the plants to flourish. The California Dream strain of cannabis is a crossbred hybrid mixed with Afghani and Mexican strains. It’s was bred by Mandala Seeds. Originally from California, the marijuana seeds were eventually sent to Holland. There, they were distributed after being feminized. This cannabis strain is mixed with 30% sativa and 70% indica. The California Dream strain of marijuana is top shelf weed. Because of its effective sedative properties, this is a good smoke for evenings or before going to bed at night. You’ll experience a strong cerebral high, an energetic mind and major boosts of creativity. California Dream marijuana is a favorite among recreational users. They enjoy the power of its euphoric effects. But, it’s the medicinal purposes of this cannabis strain that makes it a favorite among the medical cannabis dispensaries on the West Coast. In terms of chronic pain, the effects of California Dream is reported to rival pain medication injections. Instead of surgically implanted pump that delivers a constant stream of medication, Cali Dream can provide healing effects with just one toke. It also relieves inflammation, which can help patients regain normal use of problem areas. California Dream brings you a pungent, skunky aroma. You will smell a hint of earthy pine that resembles that of skunk weed. The taste of this cannabis strain is very pleasant, however. It is quite sweet tasting, with a good blend of minty, citrusy, fruity flavors, making it very pleasing to the palette.